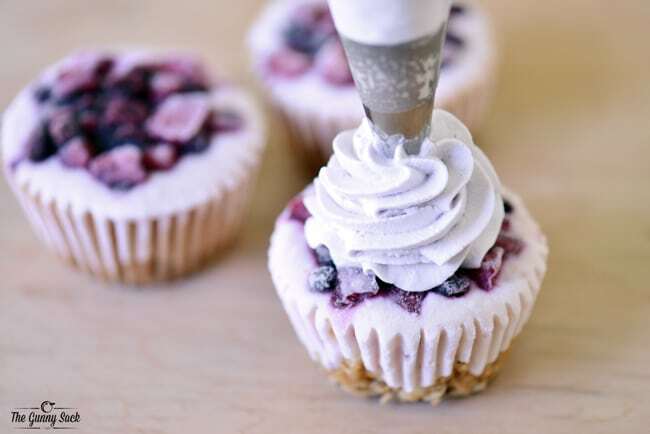 This Double Berry Frozen Yogurt Cupcakes recipe is a yogurt parfait for breakfast or snack with a no bake granola bar on the bottom, yogurt in the middle, berries and whipped cream on top. Summer is the best time of the year for adventures! We made a list of the places we want to visit this summer. Each week, we are going to try to make it to at least one place on the list. 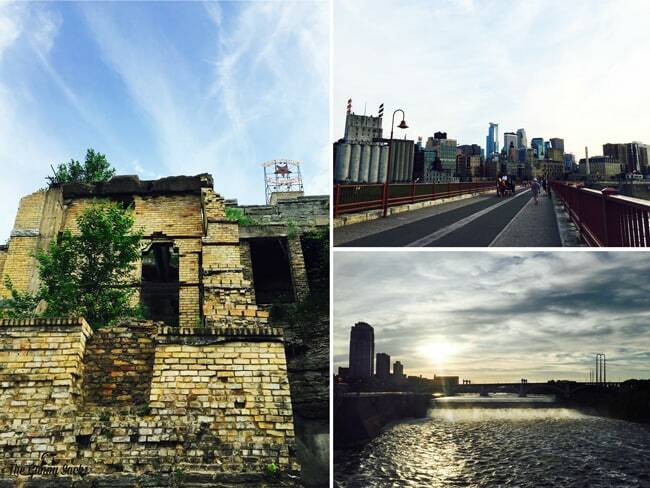 Last Friday, we went downtown Minneapolis to check out the Stone Arch Bridge and Mill Ruins Park. It was a gorgeous evening and we really enjoyed ourselves. We visited the ruins, walked across the bridge, watched St. Anthony Falls and saw a beautiful sunset that was reflected on the buildings in downtown Minneapolis. Before leaving home, my kids and their cousin wanted a snack to fuel our summer adventure and I had a fun surprise for them. 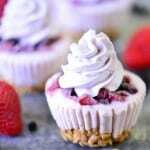 I had made Double Berry Frozen Yogurt Cupcakes the previous day and they were in the freezer, ready to eat. Mix together diced strawberries, blueberries (I used frozen) and granulated sugar. While waiting, start making the cupcakes. 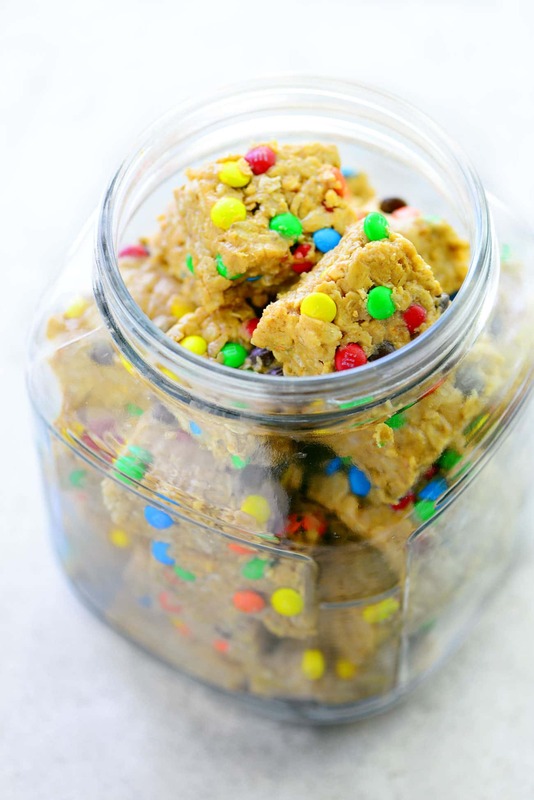 The bottom layer is a chewy, no bake granola bar. Heat peanut butter and honey in the microwave for about 30 seconds until melted. 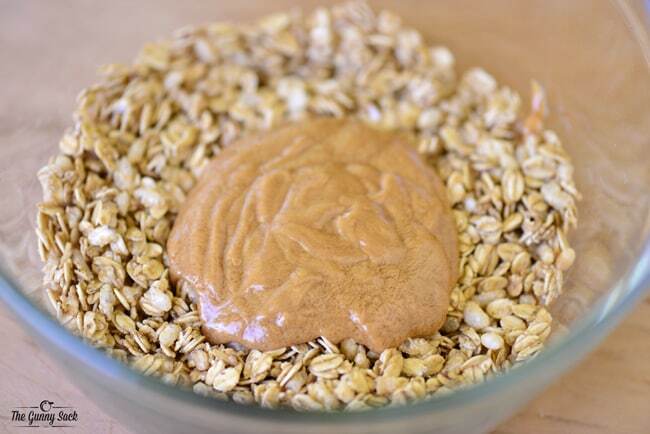 Pour over the granola and stir to mix. 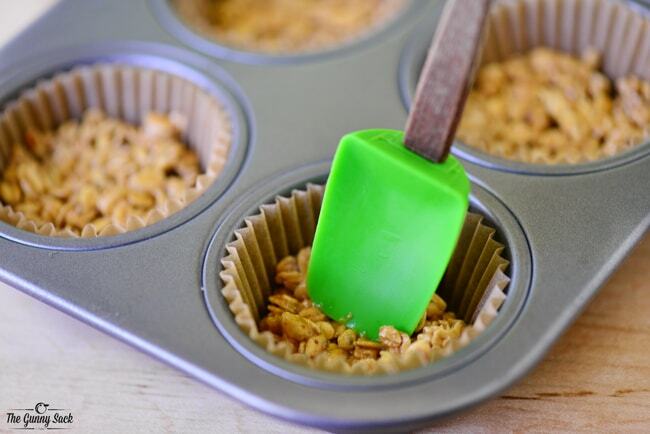 Put about 1 1/2 tablespoons of the granola mixture into 6 lined muffin cups and press it into the bottom. Top the granola layer with about 1/4 cup of strawberry yogurt. 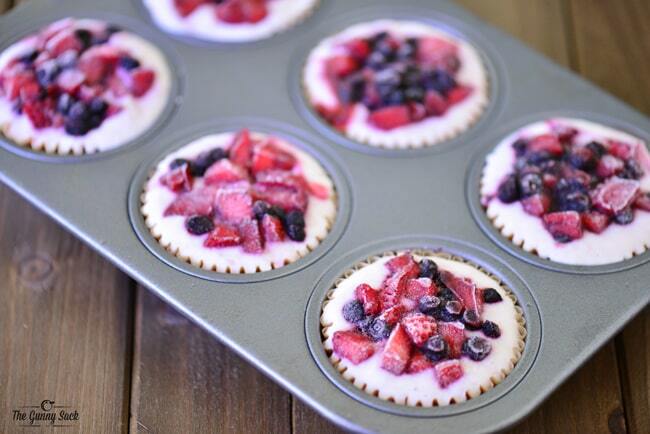 Top with a couple of teaspoons of the sweetened berries. 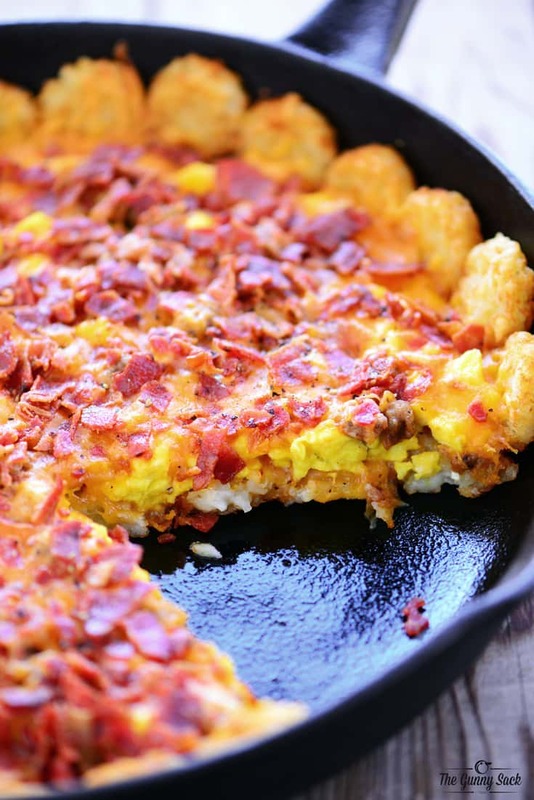 Cover the pan with plastic wrap and place in freezer overnight. When ready to serve, slowly peel off the cupcake liner. The cupcake may need to thaw a bit first. To speed up the thawing, place the bottom of the muffin pan in some shallow, hot water. 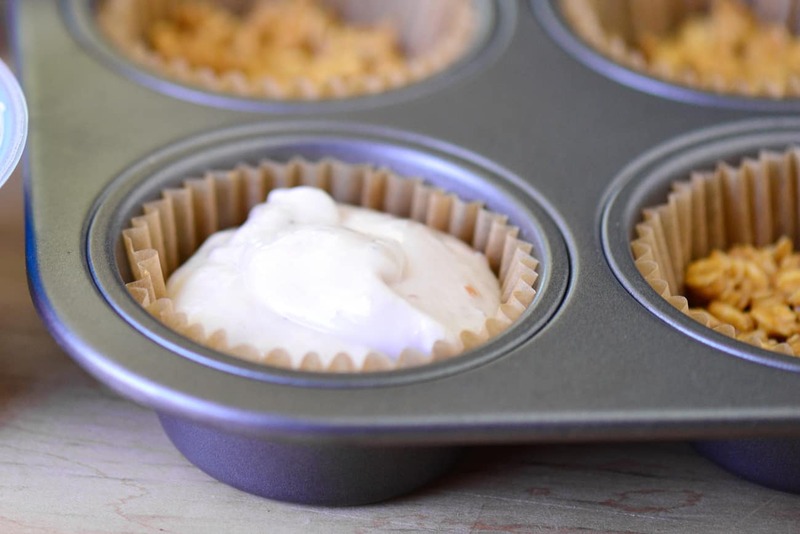 Finally, make some whipped cream to use as the cupcake frosting. 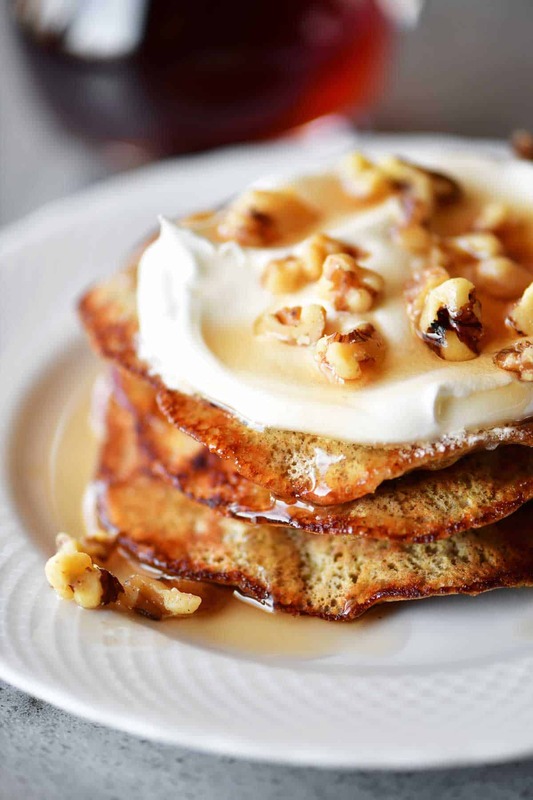 Add two tablespoons of granulated sugar and beat until stiff peaks form. Beat in two tablespoons of the juice from the sugared berries to give the whipped cream a little color. Pipe the whipped cream in a swirl on top of the frozen yogurt cupcakes. 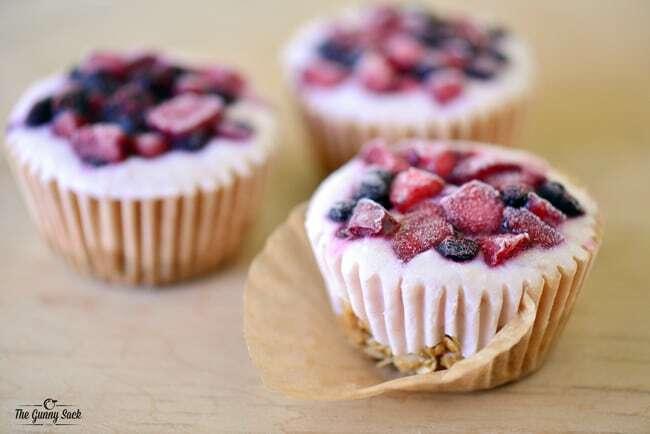 The yogurt parfait cupcakes turned out so cute and the kids said they were delicious. 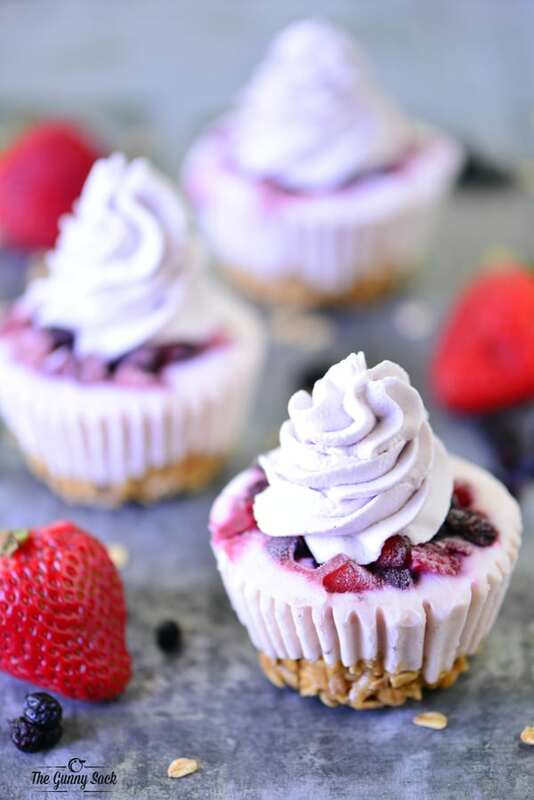 These double berry frozen yogurt cupcakes are ideal as a fun breakfast and they are also great as a summer snack. 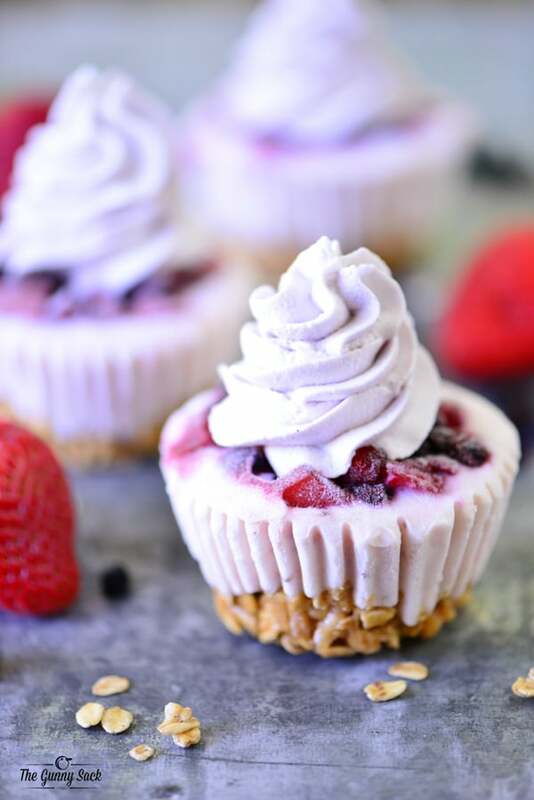 This Double Berry Frozen Yogurt Cupcakes recipe is a yogurt parfait for breakfast or snack with a no bake granola bar, yogurt, berries and whipped cream. Put 1/4 cup of strawberry yogurt into each cup. 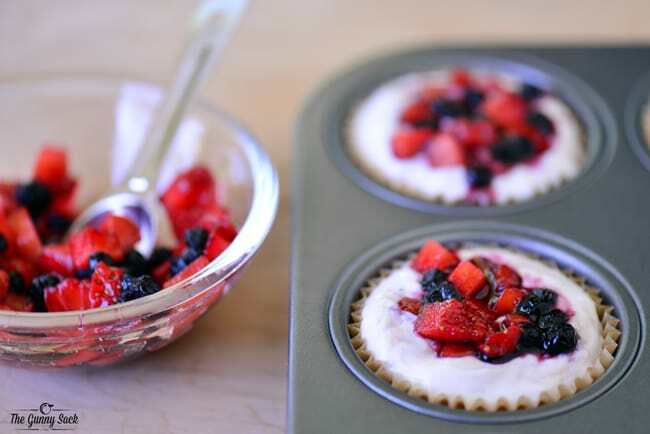 Top each with two teaspoons of sugared berries.